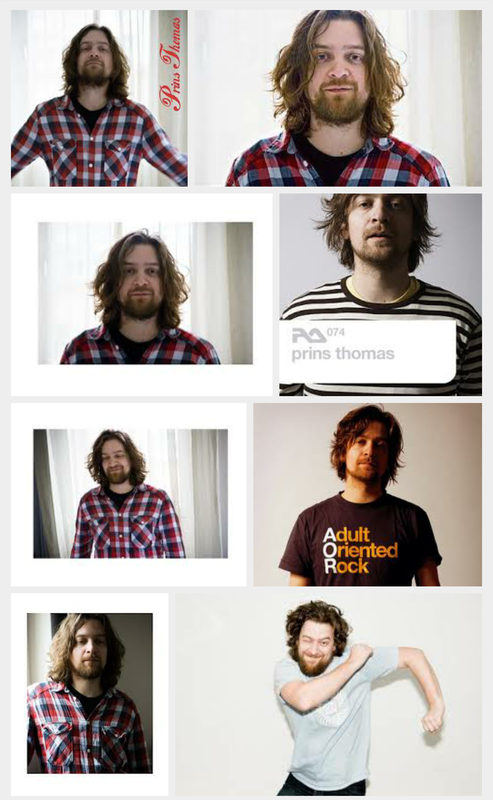 Prins Thomas DJ de Calado Internacional Cierra 2014 en Tulum Riviera Maya. 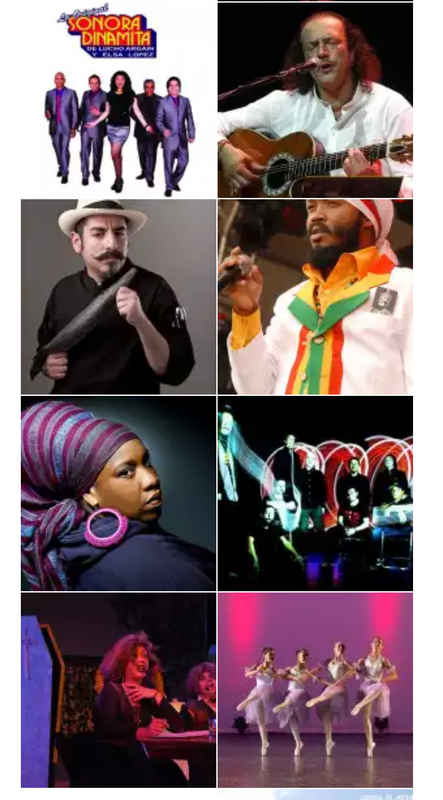 El DJ mundialmente conocido, el noruego Prins Thomas forma parte del cartel que dan vida al Festival Tulum New Year’s Eve, el cual da la bienvenida al 2015 y donde espera crear un ambiente de gran fiesta junto a sus compañeros. 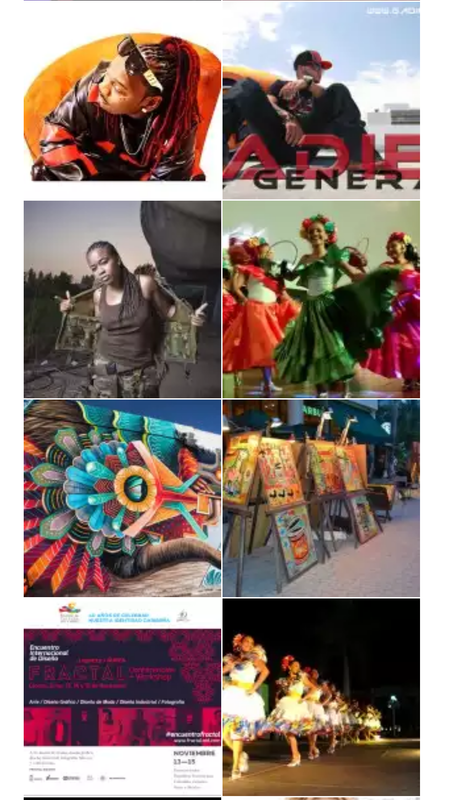 “Trato de hacer cosas especiales para cada evento, pero en realidad tengo que mantener todo en secreto, dijo en tono de broma. De mis compañeros conozco a DJ Harvey y lo admiro. Hemos estado en muchas fiestas juntos, pero creo que será muy divertido”, señaló Thomas en entrevista. 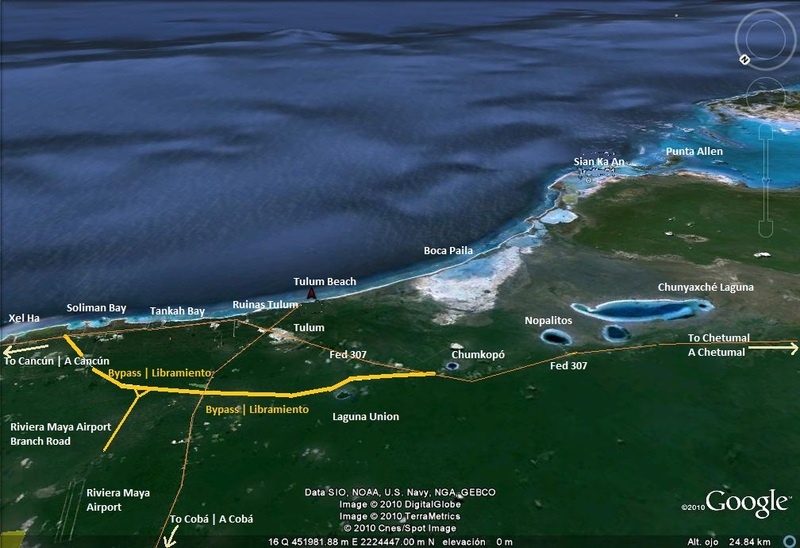 Tulum Town, Tulum Beach, Tulum Archaeological Zone and Maya Pyramids. Tulum Playa /Tulum Beach nests along the coastline that leads into the Sian Ka’an Biosphere [Ecological Reserve], the Caribbean white sandy beaches to the east, an impressive mangrove & wetland reserve to the south. Tulum Playa embraces many of the fancier, ecological, boutique and spa hotels, and it has a decent selection of restaurants and night spots. There are also still a few budget beach front cabana-type lodging locations. 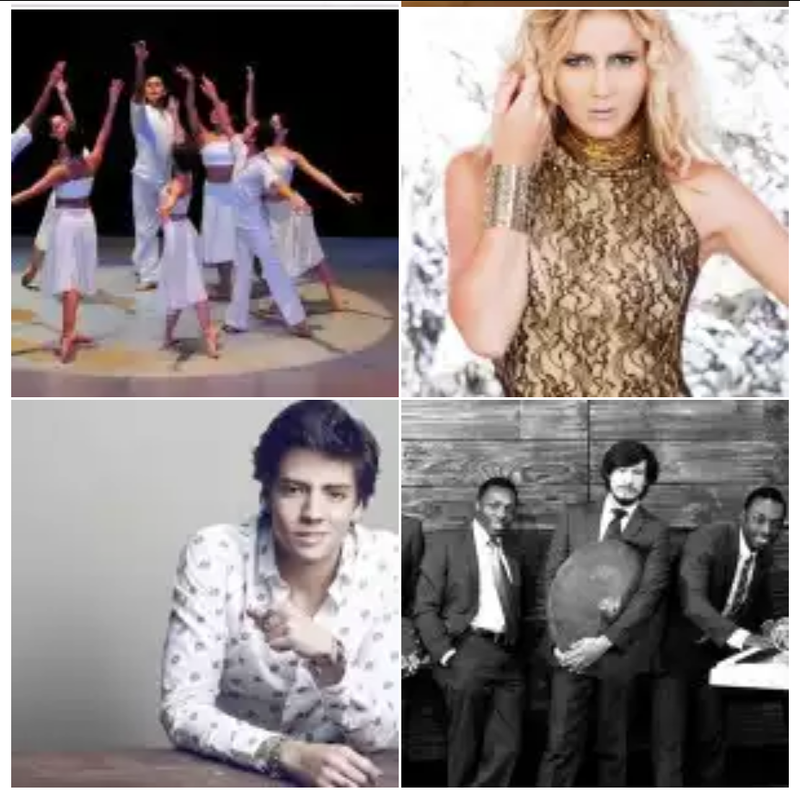 Walk the beach and simply step in and inquire about accommodations and rates is now almost a thing of the past so make reservations as Tulum’s popularity increases with the presence of international and Mexican celebrities. It should be noted most of these beach establishments are Eco-friendly and do not provide electricity 24/7. If you are staying on the beach you will dind that there are now many restaurant options on the beach. These options range from a simple fresh fruit stand by the side of the road to world class rated top ten chefs on the planet. 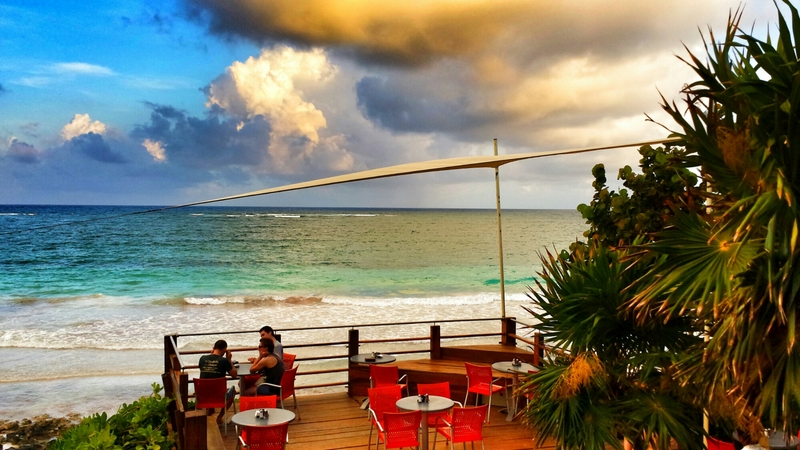 Tulum beach road cuisine is setting a trend. Do not miss out. 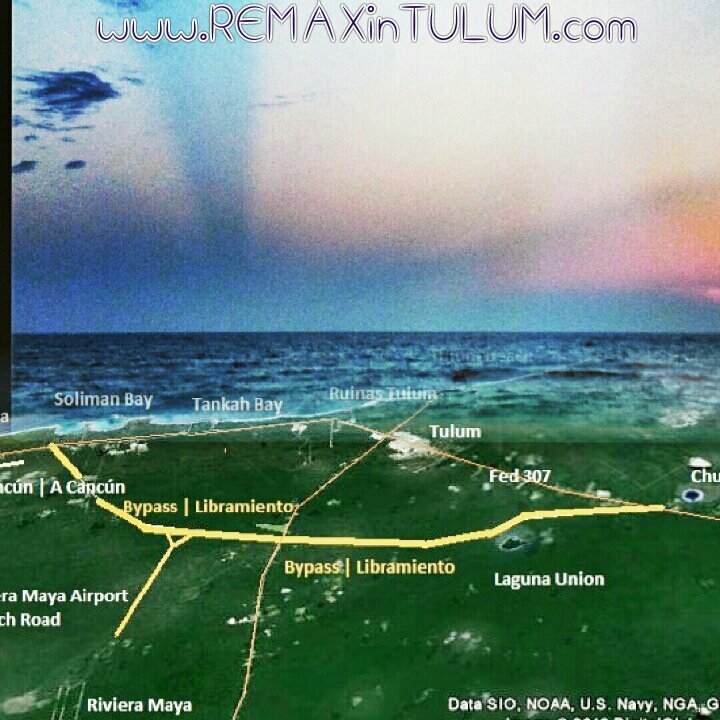 One very relevant aspect to note is the fact that there are only a handful of private homes along Tulum Beach or on Tulum Beach Road, and there are no condos or apartments on the beach proper. 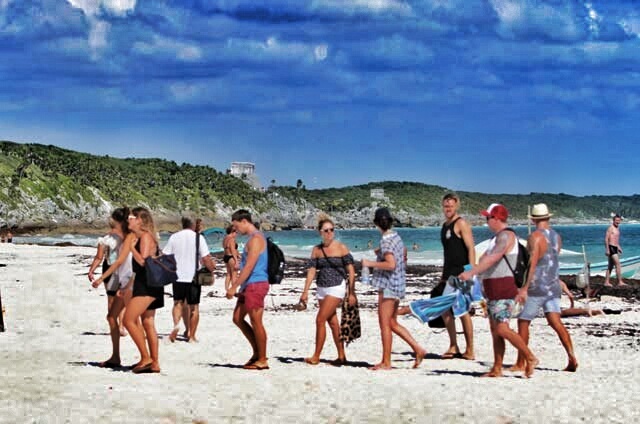 Enjoying Tulum Beach is achieved by most resdients living in Tulum in the form of day trips. Private property that can be owned by non mexicano residents is scarce and very pricey. Talk to a professional realtor if you need to know more. Buying property in El Pueblo is less expensive and makes more sense. Taxis have a near monopoly on transport to and from the playa. Buses come from time. Bikes are more and more popular and renting a car is a top option. 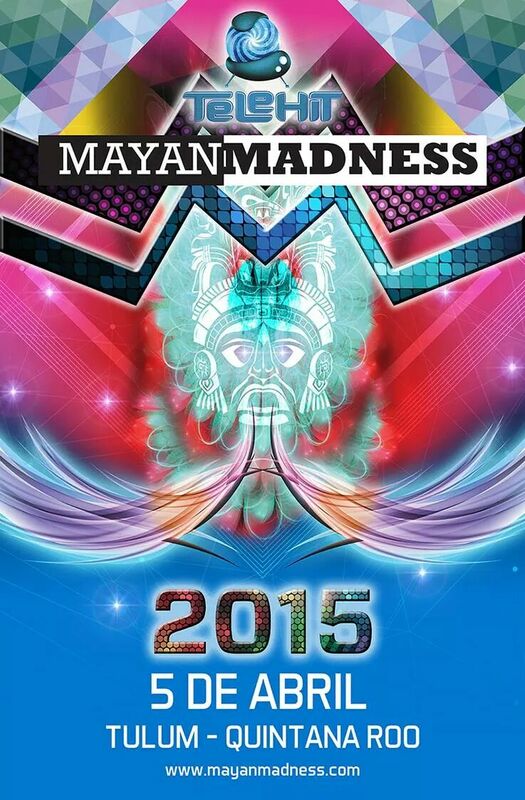 Preparan ye el Mayan Madness Electronic Music Festival 2015 en Tulum Mayan Riviera. Tras la participación de Paul Van Dyk y Afrojack en la primera edición, los organizadores del Mayan Madness Electronic Music Festival prometen una “impresionante” fiesta para el 2015, según Notimex. “Trataremos de complacer a la gente, este evento tiene el beneficio de que está en medio de la selva con un sonido que va a dejar satisfechos a todos. “Entonces la gente puede llegar desde temprano, agarrar su traje de baño, irse con sus cuates antes de ver a los tornamesistas que están en los Top 10 mundiales”, declaró Alejandro García Díaz, organizador de este festín, que se llevará a cabo el 4 de abril del próximo año. García informó que todavía esperan la confirmación de algunos músicos con los que prometen crear una fiesta inolvidable ante los ocho mil asistentes que esperan para esta celebración. Además se explicó que aunque el año pasado hubo dos escenarios, con el ingreso de cerca de 5 mil 600 personas, se tiene pensado armar para el próximo festival sólo una tarima, pero de mayor dimensión. Irina Shayk nos recuerda por qué es considerada una de las modelos más guapas y sexys del mundo. Teniendo como pretexto que se encuentra vacacionando en Tulum, la novia de Cristiano Ronaldo “CR7” subió fotos de ella descansando en las impresionantes y envidiables playas de Tulum en la Riviera Maya. “México, divertido”, escribió Irina de 28 años en su cuenta de Facebook, donde aparece recostada en una cama, en la playa, asoleándose y presumiendo su diminuto bikini. En una segunda foto, compartida este lunes, Irina aparece estirándose frente a una piedra a la orilla del mar, en la que muestra generosamente su escultural figura con las cálidas aguas del Mar Caribe como el marco perfecto para tan escultural visión. En la última foto se puede ver a una Irina relajada al tiempo que apreciamos como el agua recorre su anatomía perfecta cubierta ella tan sólo con un esquisto bikini, regalando al mundo una imagen SUPE-HOT. La modelo rusa acudió sin la compañía de Cristiano, aunque no hay motivo de preocupación pues hay que recordar que el 13 de este mes ellos dos acudieron a la premiación del “Balón de Oro“, donde él fue premiado al como mejor jugador de 2013. Originaly posted in 2012 and reproduced here for its current value and popularity. 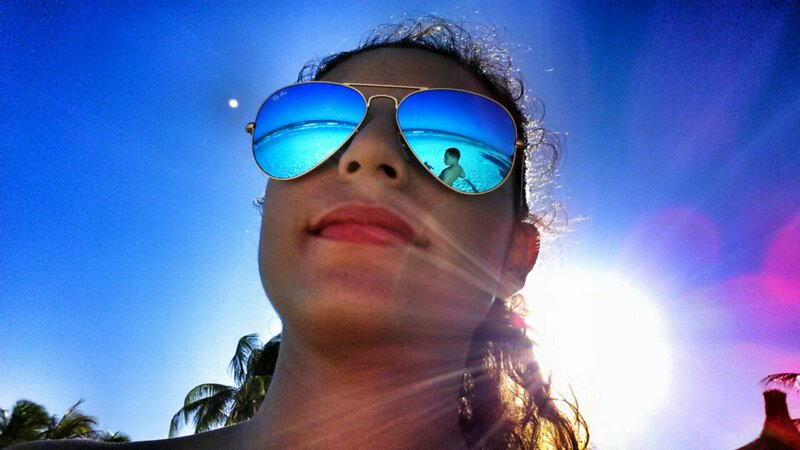 It was a honey-gold morning in Tulum, Mexico, the low-rise, high-key ocean strip in the Yucatán 75 miles south of Cancún. While many visitors saluted the sun in various yoga poses along the white swatch of the Atlantic Ocean beach, Irene Albright and her daughter, Marina, stared at a computer screen in the open-air lobby of the Hotel Nueva Vida de Ramiro. They were looking at Chloé’s Web site. Nearby, Nian Fish, a creative director, had just finished a conference call about a coming Tommy Hilfiger show she is producing in New York. She was barefoot with a faded blue bandanna on her head. “Welcome to my office,” she told a friend. And welcome to Tulum, a destination so popular with the fashion crowd this time of year that it almost feels like Fashion Week. While Teva-wearing backpackers look for sea turtles and New Age naïfs look for nirvana, the fashion obsessed don’t have to look at all to find one other. They are everywhere, artfully dressed down in high-peasant style. The scene in late December included Nicola Formichetti, the stylist for Lady Gaga and creative director for Mugler; Amanda Hearst, the It Girl of Marie Claire; Tom Mendenhall, chief operating officer of Tom Ford; and Johan Lindeberg, the big-bearded Blk Dnm designer. There were movie stars, too: Evan Rachel Wood, Jamie Bell and Kate Bosworth, who stayed, as she often does, at Coqui Coqui, the limestone spa and hotel owned by Nicolas Malleville, the international male model. In past years, Ryan Phillippe, Neil Patrick Harris, Sienna Miller and Alexander Skarsgard have also been spotted on the beach. But never mind the air-sucking dust clouds of celebrities. They have St. Barts and Miami. Laid-back Tulum, which Italian Vogue called the new Goa, has its own players — minor ones to the masses, but important to those who speak fashion-ese. SO how did a former stop on a low-budget hippie trail become a magnet for Seventh Avenue materialists? Location, maybe? Flights to Cancún are quick and direct from New York, a little under four hours. The cab ride from the airport is an easy 90 minutes, made even easier with a recent highway upgrade that serves many new all-inclusive resorts (no, thank you) on what the Mexican government calls the Riviera Maya. There’s also the allure of a pristine white sand beach that stretches for miles. Another draw? Sustainability. Tulum is consciously and adamantly off the power grid, which means it often uses solar generators and wind turbines to keep its lights on. Showers in many hotels are low pressure and often brackish, not fresh. It makes people who spend their lives creating disposable luxuries feel slightly virtuous, or at least more rugged than they feel while wearing stilettos. And fashion people, often questing for self-enlightenment, are drawn to places with a strong spiritual feeling. 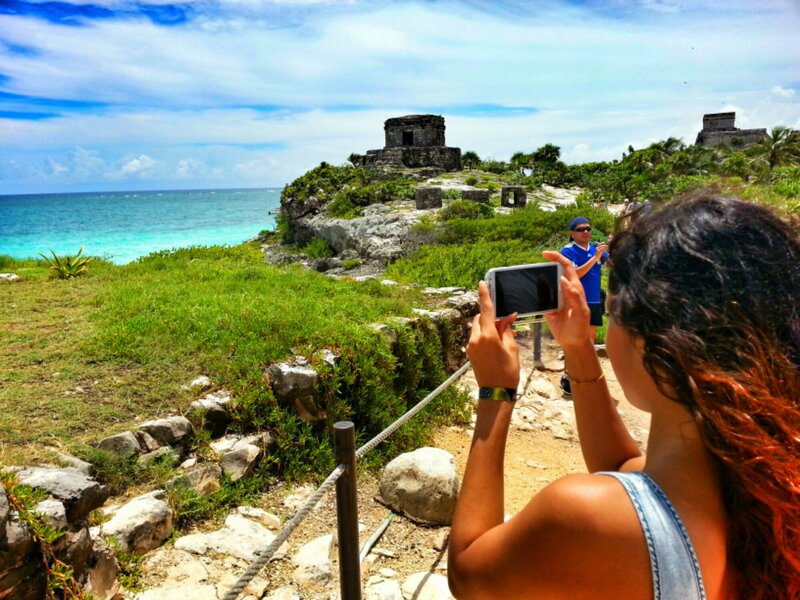 Steeped in Maya lore, Tulum is a veritable sample sale of yogis, psychics and seers. “I work with the spiritually challenged,” said Robert Klein, a Los Angeles transplant whose business card lists “integrated healing” therapies. “My goal is to open doorways to more spiritual aspects of ourselves.” A former restaurant owner, fashion photographer and psychologist, Mr. Klein said he was in a sweat lodge last year when he heard a voice tell him to move to Tulum. “L.A. had something missing, so I came here,” he said.